$9 Supplies 3 Women With FemCare Products For 1 Month! For the more than 40 million women in this country living in poverty or on the brink of it – and for whom the cost of feminine hygiene products is yet another burden on an already stretched budget – periods are no joke. A year’s supply of tampons and pads costs upwards of $120 and is not covered by food stamps or other government assistance. For homeless women, the problem of lack of access to menstrual hygiene care is often compounded by “minimal access to safe sanitary spaces” like toilets and showers. Here in the United States, where the economic and opportunity costs of menstruation for poor women have gone relatively undocumented, the problem hides in plain sight, especially in the populated neighborhoods of major metropolitan cities. Project Pixie, a NJ-based community organization, was launched in 2015 for the purpose of addressing these issues. We work to provide an adequate and reliable supply of ‘Pixie Packages’ - feminine care products consisting of pads, tampons, liners, pain killers, cotton underwear, and wipes - to underprivileged women and girls, starting in Union County, NJ and the Greater Philadelphia areas. Access to these products not only promotes health and happiness to women in need, but they are also a resource to the partners and organizations to which they are given as they help to increase the services these organizations can provide. The period problem is the struggle to provide women with an essential need: sanitary items. 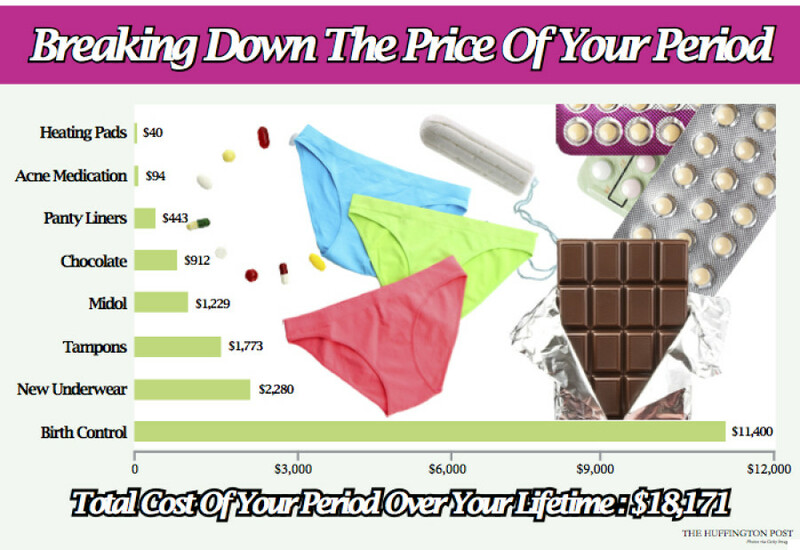 Every woman knows that feminine hygiene products are an expensive necessity. For struggling women, the expense of monthly feminine products often competes with other living expenses like food and transportation. Women may have to forgo meals or the bus fare needed to get to school or work in order to purchase these necessities. Or worse, they may be forced to put their health and well being at risk by remaining soiled for an extended period of time or attempting to wash and reuse dirty rags. Such practices can lead to skin diseases, hepatitis and other health problems. We’re a community organization on a mission to serve the needs of homeless and near homeless women and girls by affording them access to much need feminine hygiene products. By focusing on women’s healthcare, Project Pixie works to meet the basic feminine needs of homeless and low-income women and girls. Our mission is to raise awareness of the period problem – a phrase we use to describe the taboo-filled injustices experienced by women around the world – and generate donations of feminine care products and dollars. These donations will, in turn, be used to provide monthly supplies to women in need, ensuring all women remain clean and healthy. We believe that every woman deserves the right to feel beautiful! We empower women and girls with tools and support to allow them to experience healthy, productive menstrual cycles. We actively build a community of support and compassion in partnership with the community, volunteers, and other agencies committed to advancing the interests of homeless and low-income women. Project Pixie’s Board of Directors is comprised of a dynamic group of individuals who are dedicated to helping promote the vision and mission of ensuring all women remain clean and healthy.